This post by Dr Anaise Irvine first appeared on Thesislink in March 2016. The other night, exhausted from a day of taxing thesis writing and mentally fried, I collapsed on the couch. In my half-dead state, my brain was mulling how on earth I was going to keep up my concentration to get the thing finished. I’d already upped my caffeine intake as much as was healthy, and I still had months of work to go. At that precise moment, my husband popped on a DVD of The Martian. 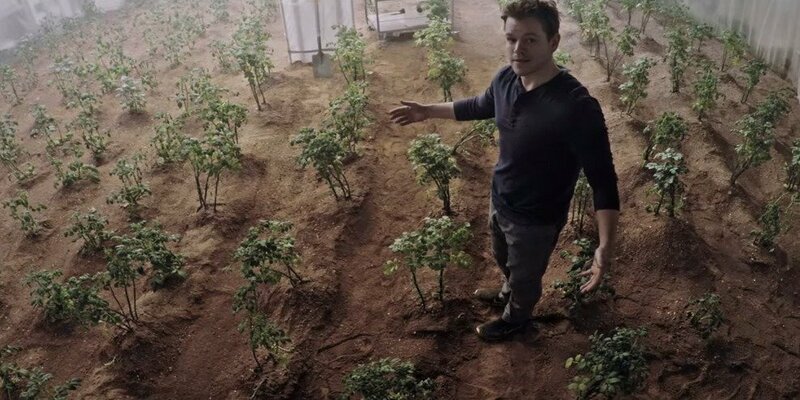 As I was sleepily contemplating the impossibility of keeping my brain working at full speed, Matt Damon contemplated the impossibility of growing his own food to survive on Mars. I’m with ya, Matt Damon. Here are the results of my research. Feel free to science your own brain accordingly. You know how sometimes you’re working at your computer, and flipping through a book next to you, and checking email on your phone, and eavesdropping on the news headlines from the TV in the next room? That’s called media multi-tasking, and it destroys your focus. A study of 262 students identified some that were high media multi-taskers (HMM) and some that tended to focus on mainly on one form of media (LMM). 19 HMMs and 22LMMs were observed performing four tasks which required mental focus. The HMMs took longer to switch between tasks, and were more prone to distraction. They also had a poorer working memory of stimuli they had seen mere moments earlier (Ophir, Nass, & Wagner, 2009). Another study found that high media multi-tasking increased as cognitive needs increased; yet the HMM behaviour did not gratify those cognitive needs. What it did instead was create an emotional gratification – a sense that the multi-tasking was effective – while actually impairing cognitive function (Wang & Tchernev, 2012). So that hyper-stimulated productive feeling you have when you’re switching between lots of media like an over-caffeinated rock star? Sorry, it’s just an illusion. It’s long been known that mental activity requires glucose, and that periods of intense cognitive activity can deplete glucose in the brain. (I once knew a student who refused to go into exams without a supply of lollipops for that very reason.) But unfortunately, eating lollies is probably not a healthy long-term cognitive performance strategy. A meta-analysis of nutrition literature found consistent evidence that blood glucose levels (and the ability to transport glucose to the brain) impacted upon mental performance. Eating breakfast was shown to support productive glucose levels and improve memory. The direction of your blood glucose is also important; the best cognitive performance was associated with rising blood glucose levels rather than falling levels. Carbohydrates convert into glucose in the body, suggesting that it may be helpful to eat breads or cereals shortly before tackling a tough task* (Dye, Lluch, & Blundell, 2000). *People with diabetes or other glucose issues obviously need to manage their glucose according to their doctor’s medical advice. It’s well-known that exercise can improve mental performance, as long as you don’t get dehydrated. But there is now some evidence that the type of exercise you perform can have specific impacts on certain mental tasks. A study of twenty gymnasts, twenty orienteers, twenty runners, and twenty non-athletes found specific mental benefits from specific sports. In mental rotation tasks (visualising and rotating a 2D or 3D object in the mind) gymnasts and orienteers outperformed runners and non-athletes. The authors suggest that this may be because gymnasts and orienteers must perform mental rotation tasks in the course of their sport, improving their skills beyond the general improvements expected from physical activity (Schmidt, Egger, Kieliger, Rubeli, & Schüler, 2016). Another study asked school-aged participants to perform a memory recall test after no exercise; after team game exercise; and after aerobic circuit training. Consistently, memory recall was better after exercise. But in most cases, memory recall was even better after playing team sports than after pursuing individual aerobic exercise. The authors hypothesised that simple solo exercises like jogging or riding a stationary bike require fewer cognitive components (decision-making, social interaction, and so on) than team sports; thus team sports can promote better mental performance (Pesce, Crova, Cereatti, Casella, & Bellucci, 2009). Perhaps, then, the type of research you do determines the best way to exercise to boost your mental focus. I’m going to take that to mean that, since my research is all about close reading, I should “exercise” by speed-reading non-thesis books and magazines in my spare time. Yup. Thank you, science.